Happy Friday. Just a quick post today. I wanted to show you some recent card class cards. They are all based on the same layout. Sometimes using the 'same, same but different' technique is a great time saver. And yes I totally made up that technique name. 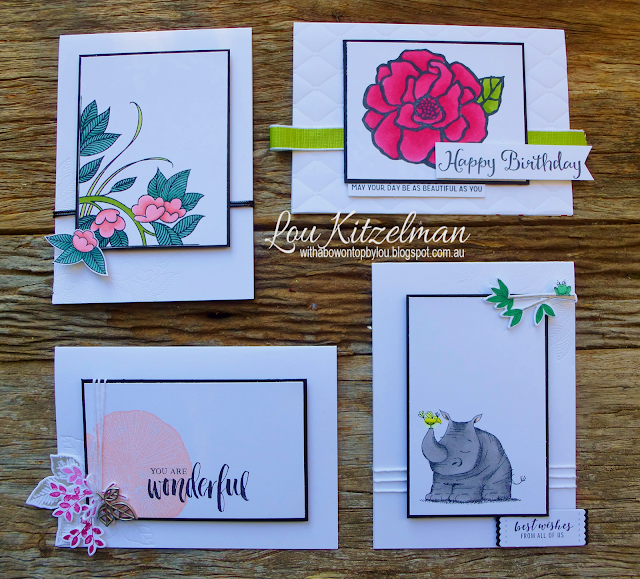 I have shared 3 of these cards already - top L, top R, bottom L - but I thought you might like to see this cute little guy too. 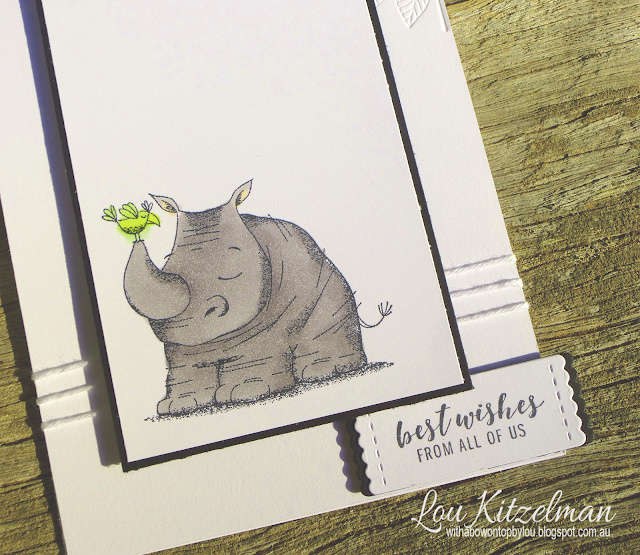 These cute creatures are from the Animal Outing bundle. 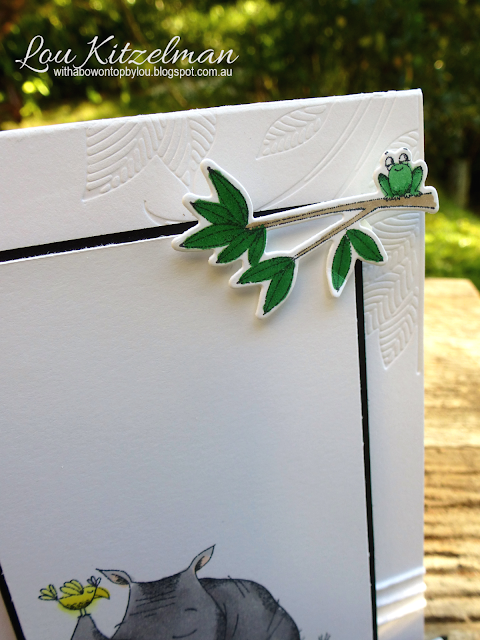 I loved the embossing die from the Garden Scene Framelits set that I used on my card top L so I decided to use it as foliage at the top of this card. See! Same, same but different! 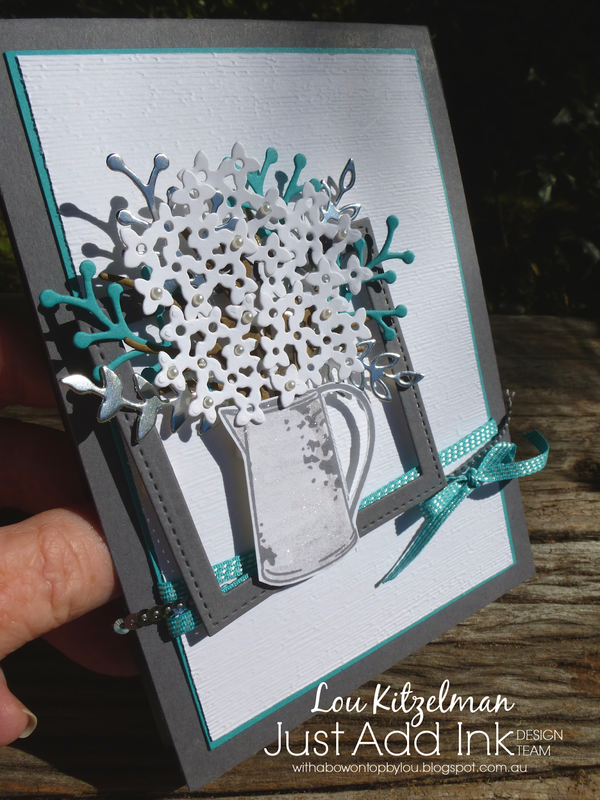 If you are short on time to create a card try this 'same, same but different' idea. 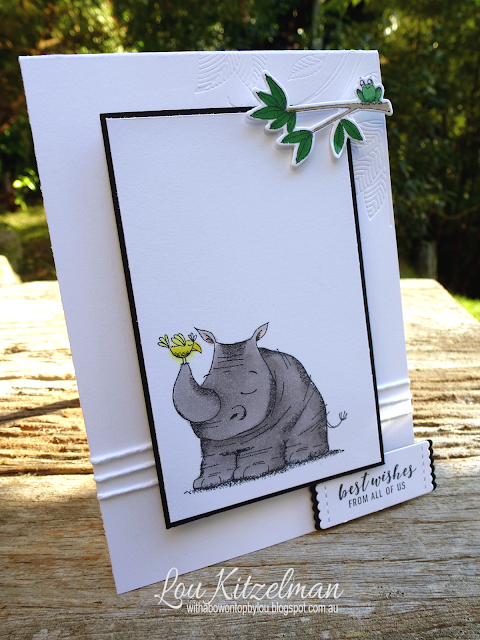 Use the layout of one of your cards that you have already made or take a look in the Stampin' Up! 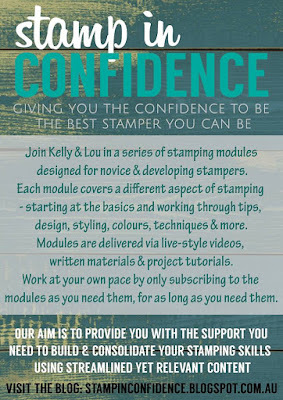 catalogue - it is fabulous resource for inspiration. Have a great weekend. 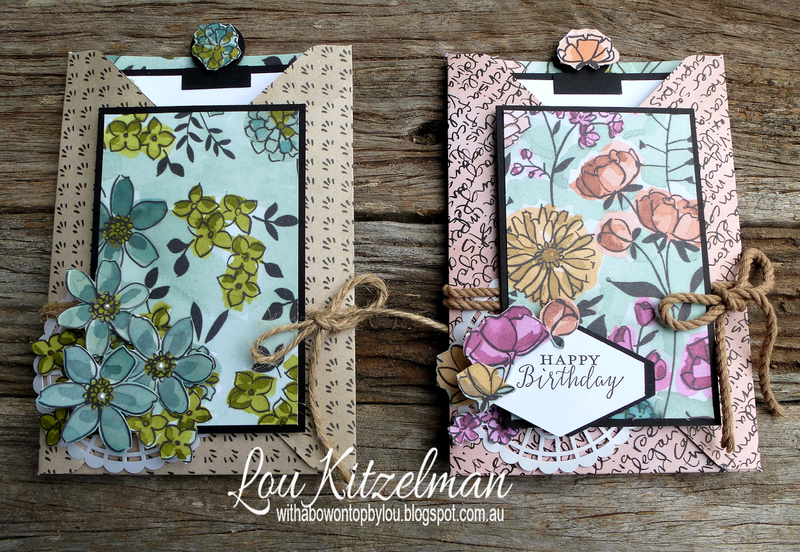 I just wanted to pop into to show you a few more pocket cards that I showed my class ladies how to make a few weeks ago. I have used this tutorial from AddINKtive Designs. They are easy to make but really pack a punch. 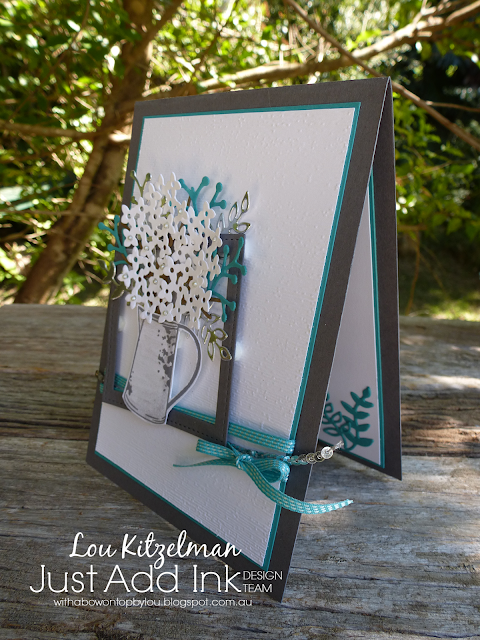 It is a lovely way to make a really special card for someone. 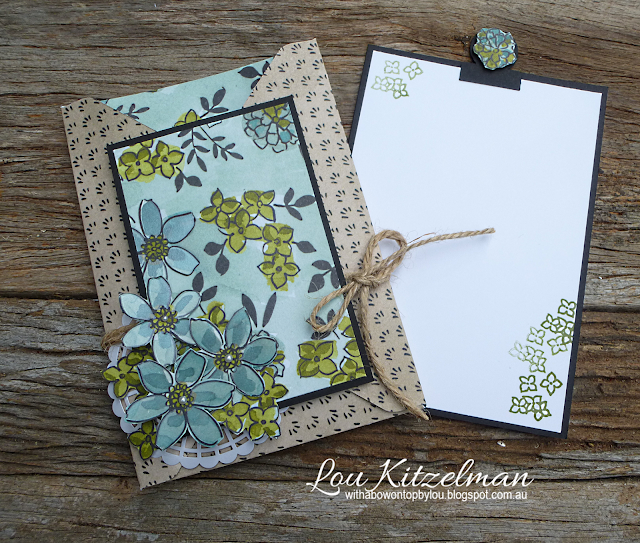 I have used the gorgeous Share What You Love designer series paper. This fold is the perfect way to make use of both sides of the paper. 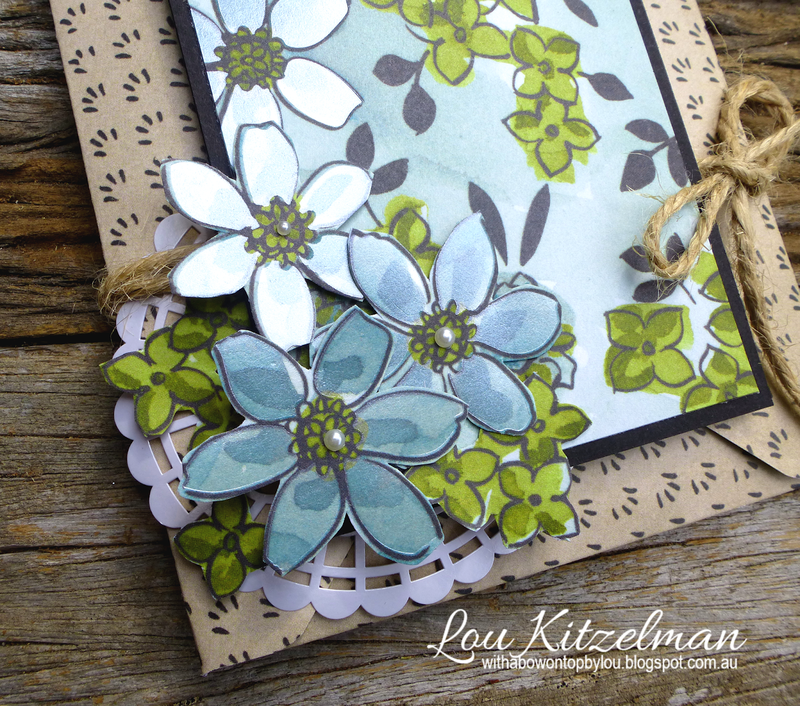 I've fussy cut out some of the flowers to add to the design. Inside there is a slide out message panel. 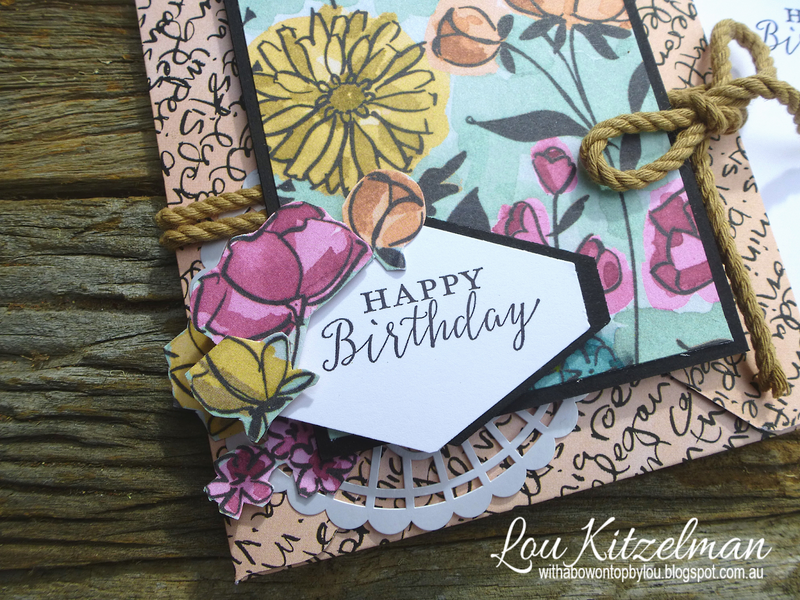 The Love What You Do stamp set coordinates with the DSP and makes it easy to decorate this panel. This DSP pack has so many pretty designs in it. Here is another version. 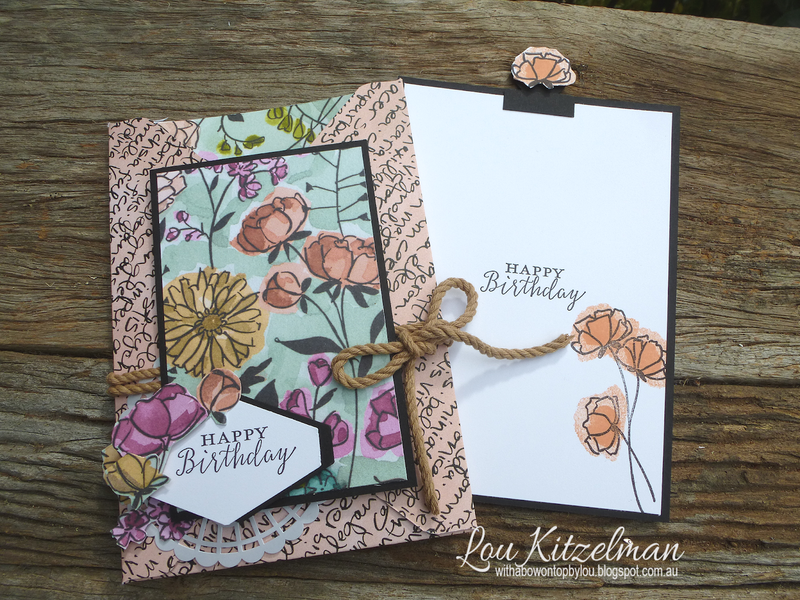 On each card I have used some retired thick twine - they were the perfect colours for the cards. It is helping with my unhoarding effort! Check out the shine on those flowers! 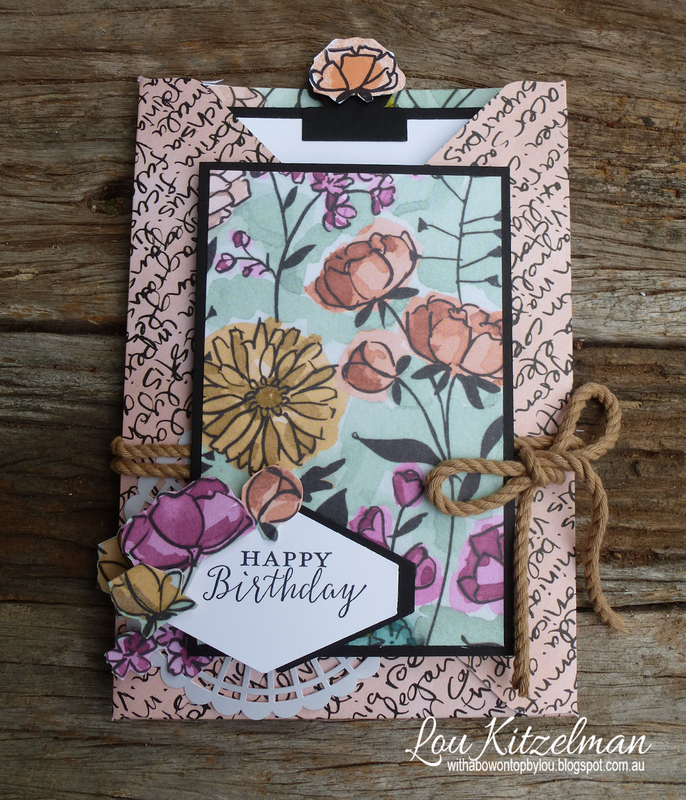 Such a pretty design! Once you start making pocket cards you will be addicted! You can see more of my pocket cards here. Happy Friday! 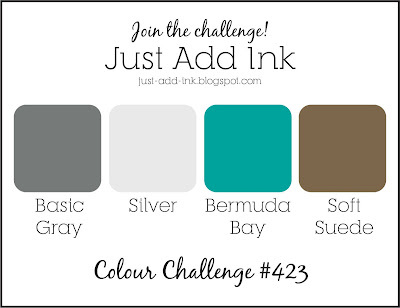 Time for another Just Add Ink challenge. This week we have a colour combination for you to use. You need to use all 4. In addition you can also use Basics (Whisper White, Very Vanilla or Basic Black) and Metallics. 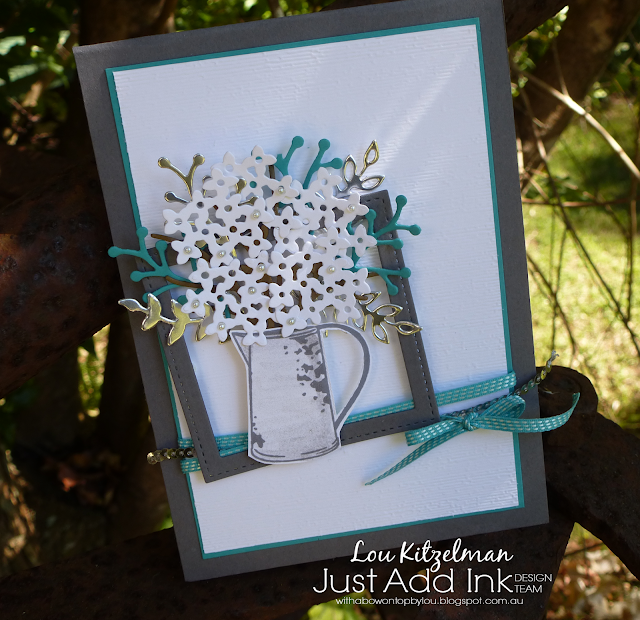 I used the colours to make this fun and fresh floral arrangement sitting in that cute jug from the Country Home stamp set (available from September 5, 2018). I did use Soft Suede but I got a bit carried away with my white flowers. You can see little bits of the stalks peeping through. Promise! 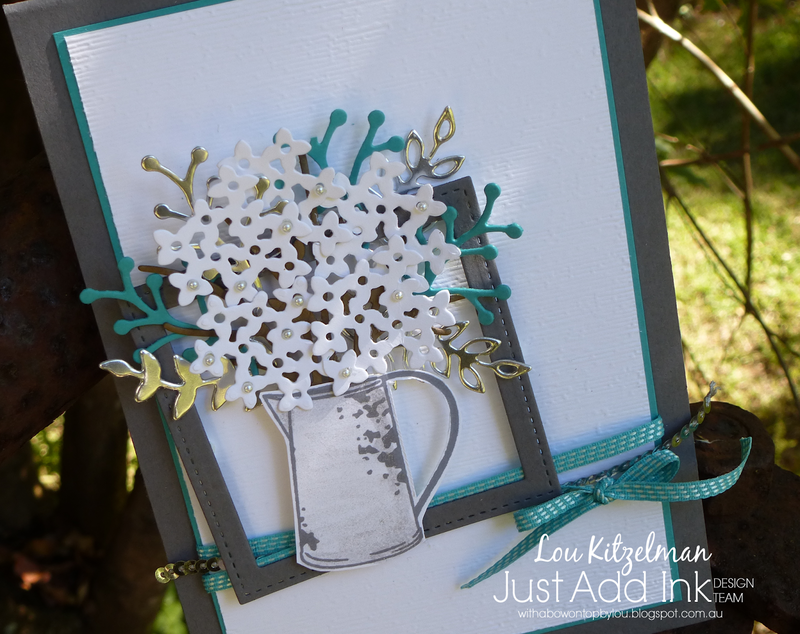 The jug is stamped with Basic Grey ink and coloured in with a Wink Of Stella pen to give it a metallic shine. To add some shading, I picked up some of the ink with the WOS brush and used on the edges. I've added some dimensionals under the frame and floral arrangement so that the different die cut leaves could stick up a bit. I only adhered the end of each one and let the tops stick up freely and do their own thing. If you are wondering where that ribbon is in the catalogue, it is retired. I have 2 rolls of it for some reason and decided that I need to be an unhoarder! So I am using up some of my retired ribbon. This Bermuda Bay ribbon was one of my faves! Make sure you pop on over to the Just Add Ink page to see how all the other Design Team members used these colours. Why not enter your own creation? We always love seeing them!